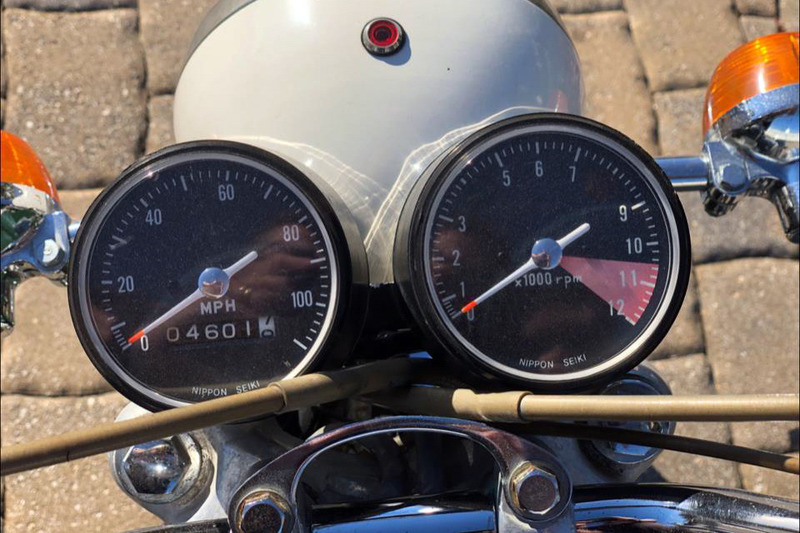 This is an original 1968 Honda CB350 motorcycle with 4,601 original miles. This motorcycle was only made with three color schemes, this being a green and while model. 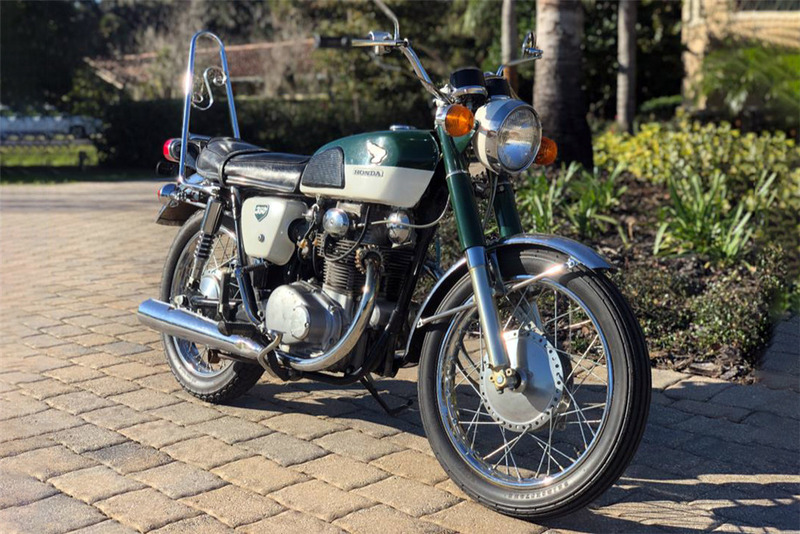 1968 was the only year the CB350 was produced with a non-pleated seat and oval taillight lens. 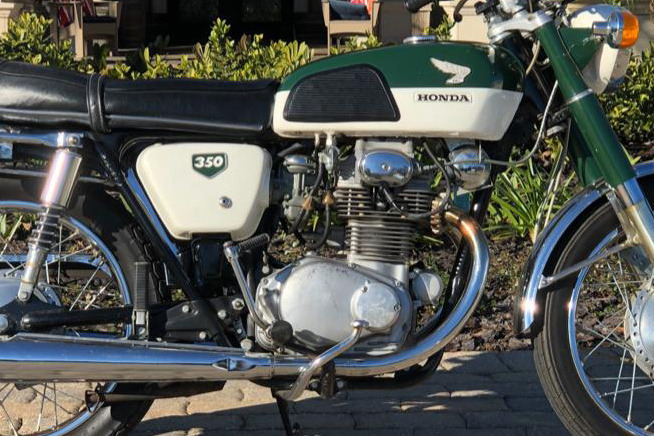 This motorcycle features a 326cc, twin-cylinder, overhead cam, air-cooled engine with dual carburetors, backed by a 5-speed gearbox and electric start. This vintage motorcycle has been kept and maintained in its original condition.